Buying a first home can be intimidating, but the Wisconsin Housing and Economic Development Authority, or WHEDA, offers programs to make it easier for first-time home buyers. For the WHEDA programs, a first-time home buyer is considered to be someone who has not owned a home in the past three years. Qualified veterans and people buying in lower-income federally designated target areas can qualify for these programs, too. For residents in all 50 states, these national loan programs allow low and sometimes even no down payments. Programs offered by the Wisconsin Housing and Economic Development Authority, or WHEDA, can apply to first-time home buyers and in some cases to repeat buyers. Some programs allow borrowers to accept down payment assistance. There are income limits as well as limits on loan amounts or purchase prices. 30-year fixed-rate mortgages for first-time home buyers, repeat buyers and veterans. Down payment and closing cost assistance available; income limits apply. Mortgage interest tax credit available. The home must be in Wisconsin and be the primary residence. 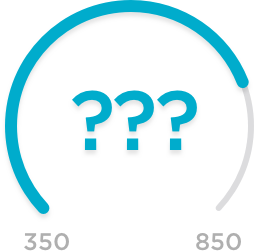 Most programs require a minimum 620 credit score. Home buyer education required for most programs. First-time home buyers, eligible veterans and repeat buyers who purchase homes in low-income "targeted areas" can save on their taxes with this mortgage credit certificate. It provides a federal tax credit each year for the life of the loan. Veterans and buyers in federally designated "target areas"
This program offers down payment and closing cost assistance in the form of a 0% interest-rate loan that doesn’t require monthly payments. The maximum amount is $3,500. The loan is backed by the home, and doesn't have to be repaid until the home is sold or the mortgage is refinanced or paid off. You know the basics of first-time home buyer programs available in Wisconsin. If you want to dig into the specifics, visit the WHEDA website. WHEDA doesn’t approve loan applications or lend money; instead, it relies on a network of participating lenders. If one of the above home buyer programs looks like a good fit or you need help deciding which option is best, reach out directly to a participating lender for more information.